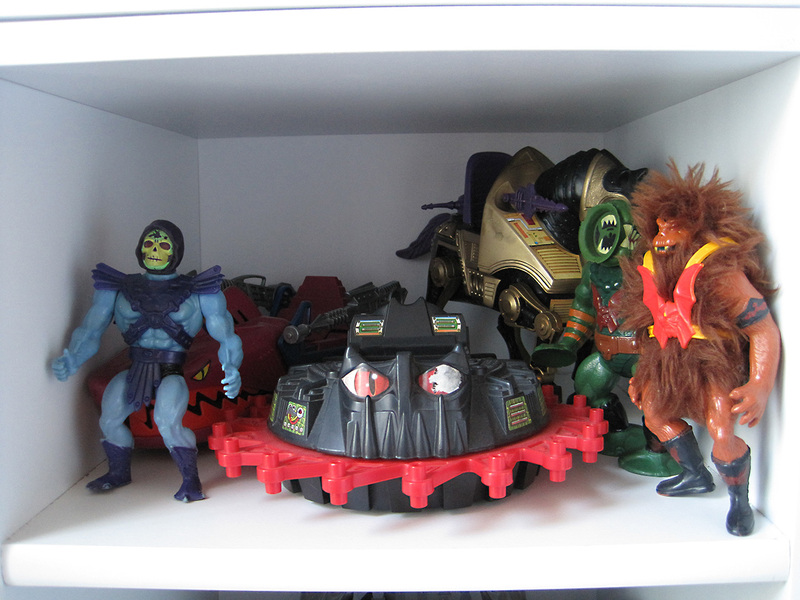 Here’s my current Masters of the Universe collection. I’ve had all of these for around 30 years. I recently inserted a couple of shelves to make the display more organized. 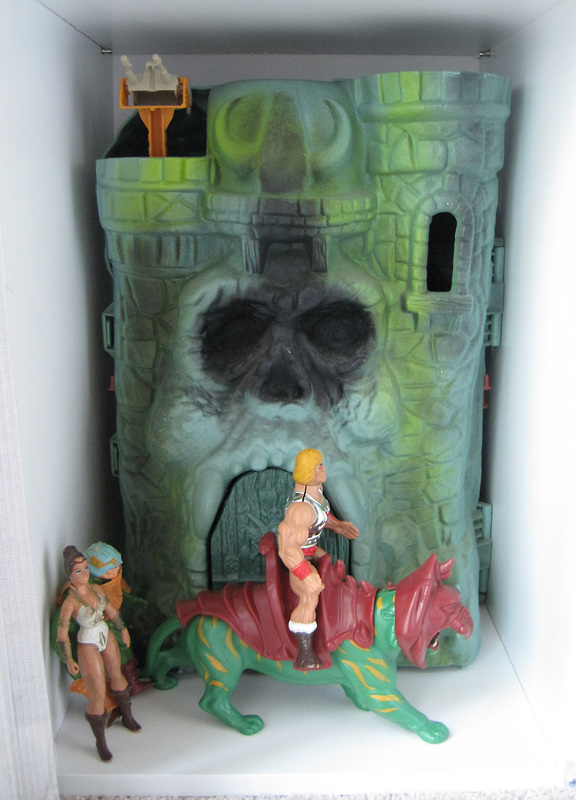 This is my second Castle Grayskull. I know I had two of them because I still have two thrones. 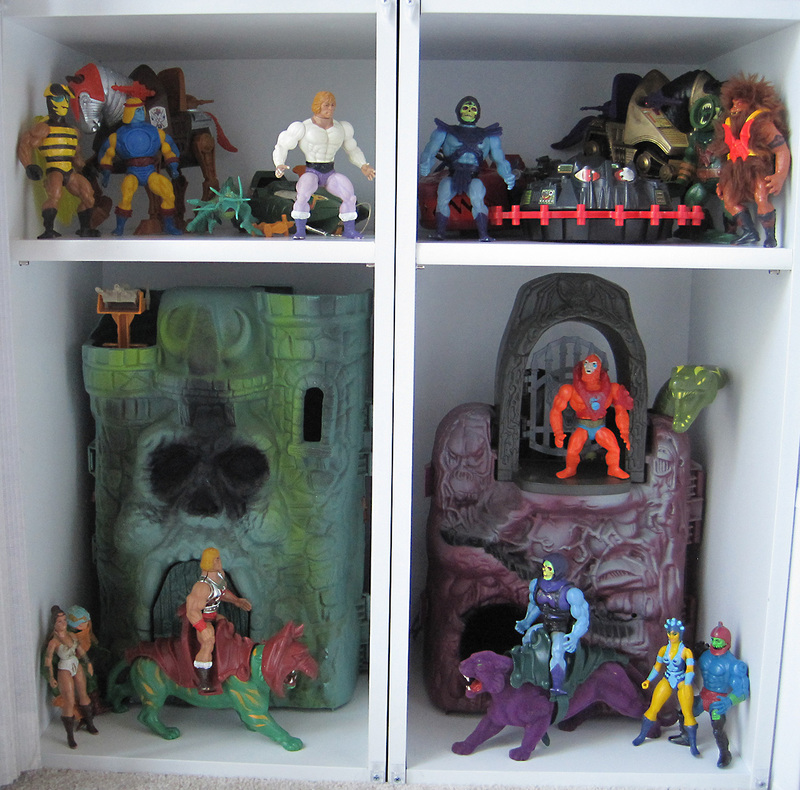 I’m quite sure I used to have the original He-Man figure. He was probably broken at some point and thrown away. 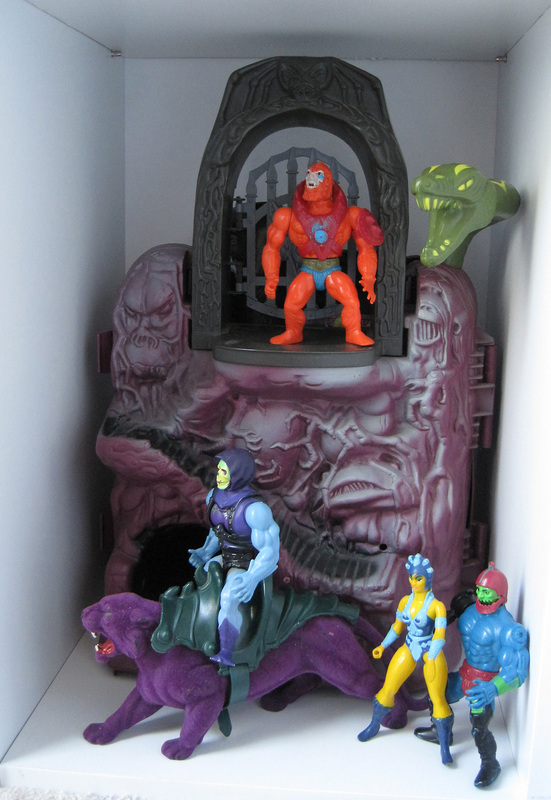 Most of my Masters of the Universe accessories are currently in a separate box; I’m impressed I have as many as I do, considering the age of these figures. 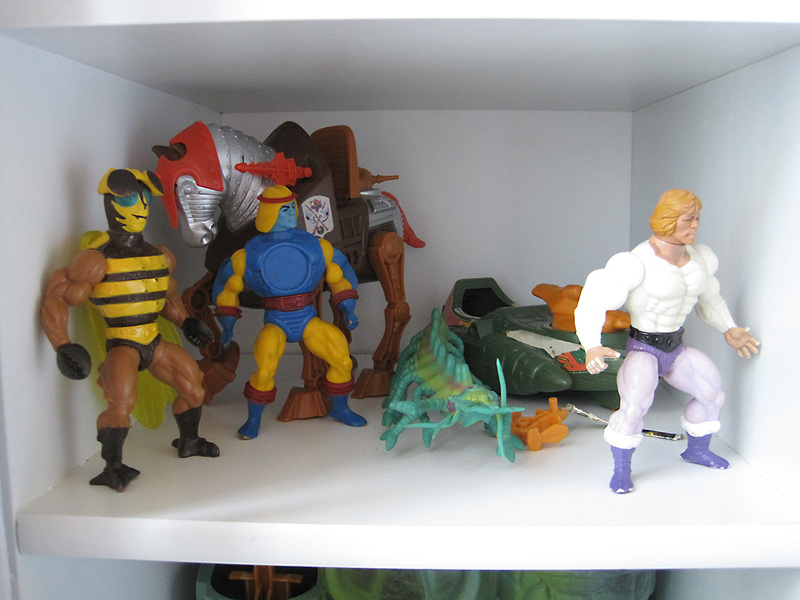 I have no idea what (if any) toy line that caterpillar creature is from, but it’s always been with my He-Man figures, so there it stays. I need a vest for Prince Adam and a chest piece for Sy-klone. I’m expecting my Club Grayskull figures to arrive any day now, maybe even tomorrow, so these figures will be welcoming He-Man and Trap Jaw. nice shelves. get the weapons out! the caterpillar is from The Other World by Argo. Oh, wow! That potentially solves a 30-year old mystery! Do you know what the caterpillar was called? I searched through a bunch of The Other World photos but didn’t see it. Love the customs on your site!